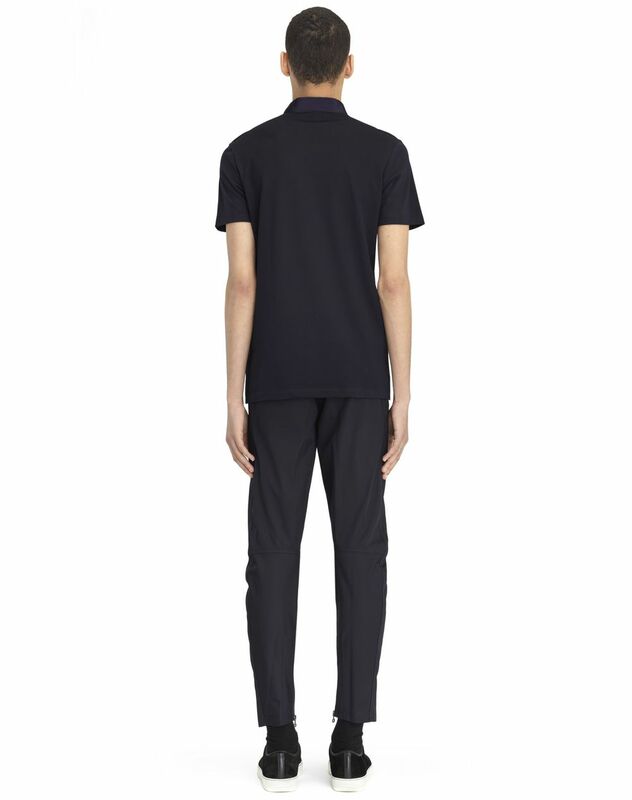 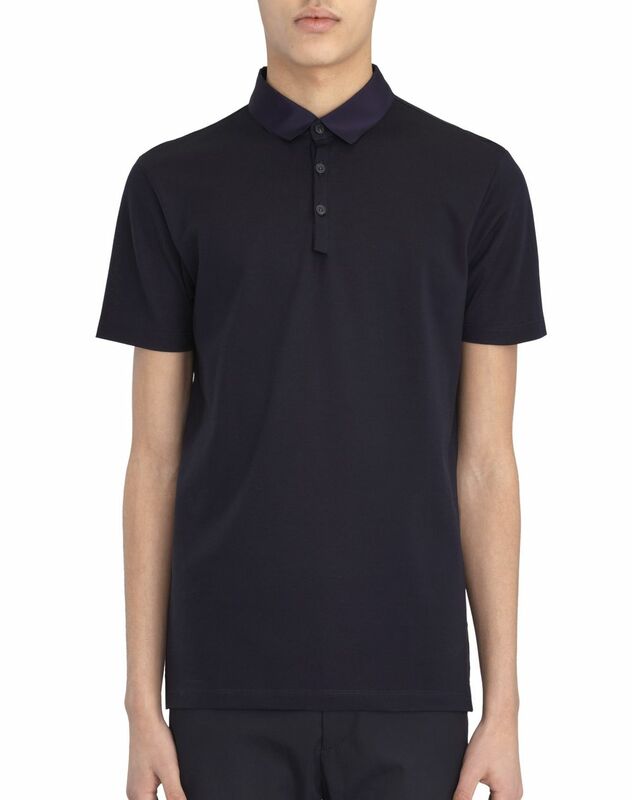 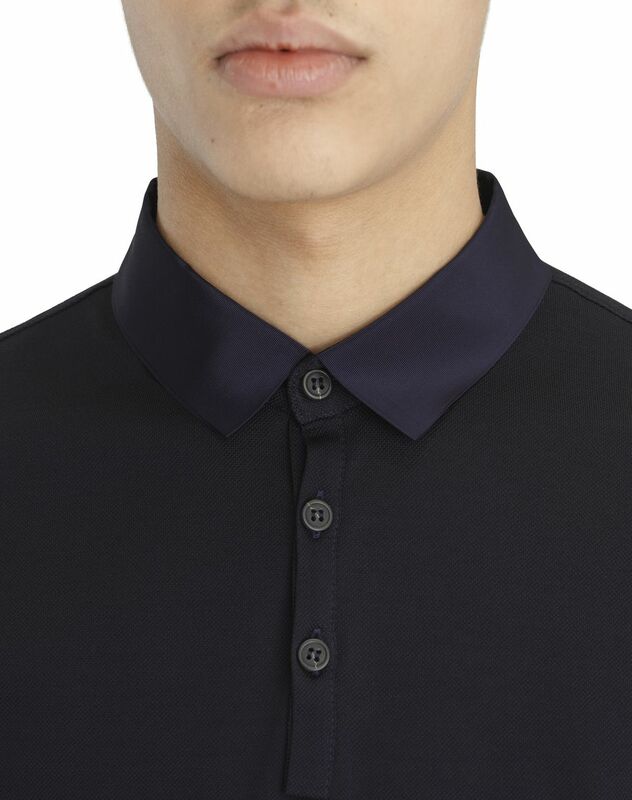 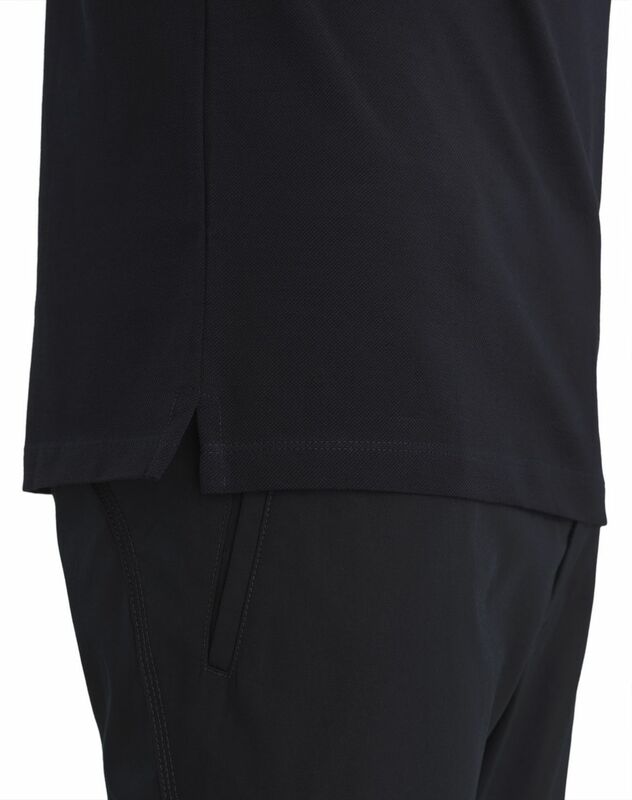 Short-sleeved navy blue slim-fit cotton piqué polo shirt with small grosgrain collar and button placket at the front. 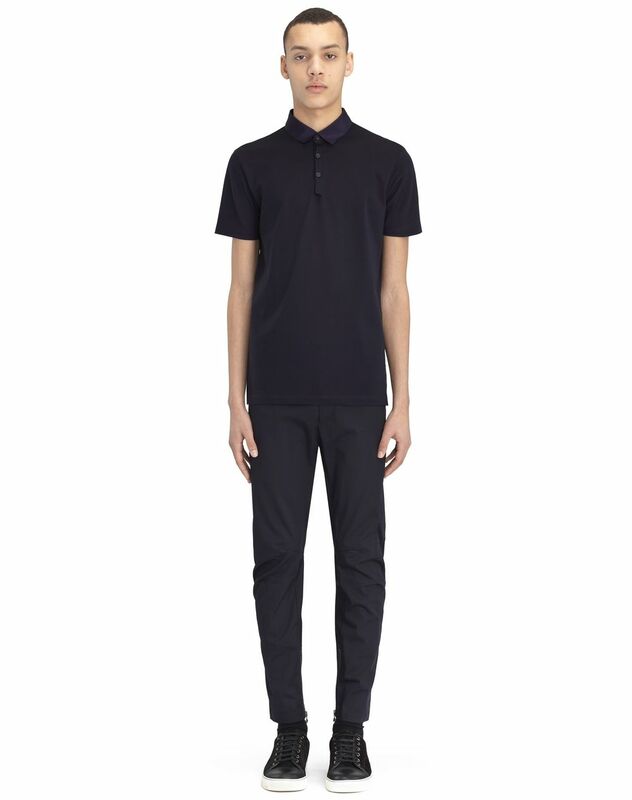 Main material: 100% cotton knit. 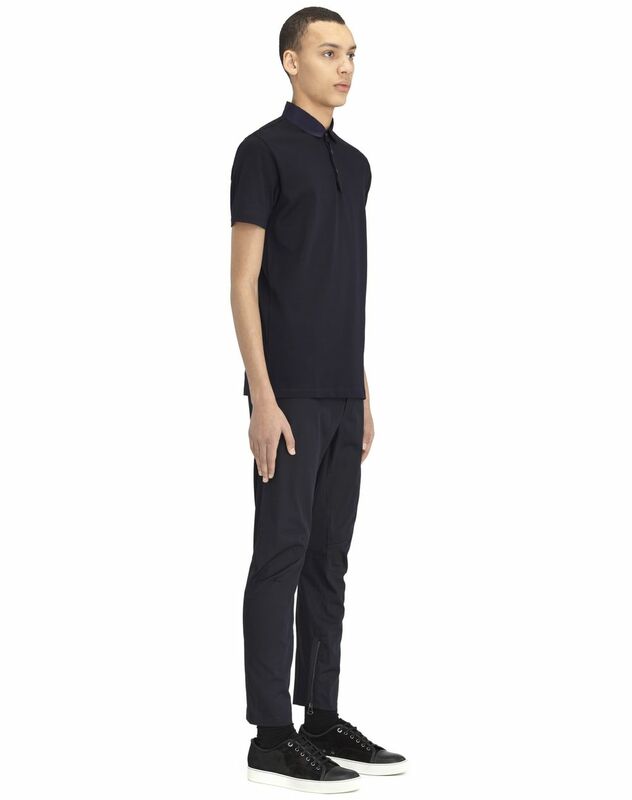 Model's measurements: Height: 187 cm Chest: 77 cm Waist: 71 cm Hips: 86 cm Model wears a size S. Made in Italy.